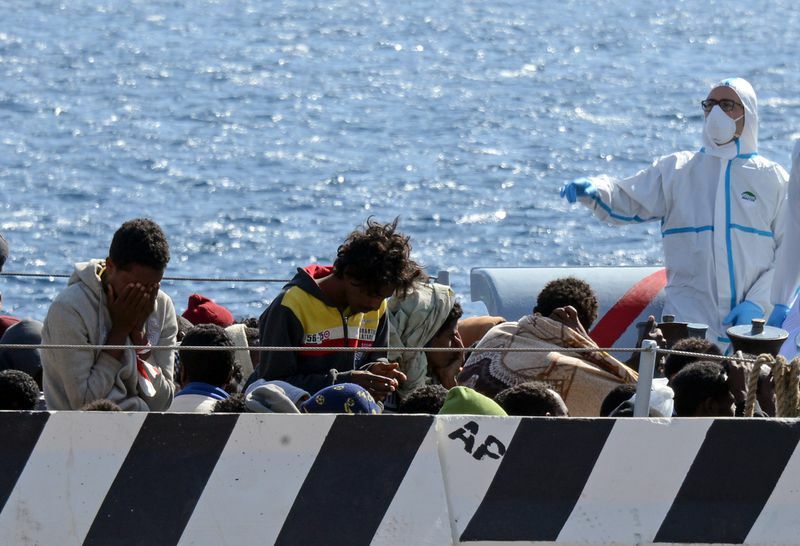 1,600 migrants have drowned in the Mediterranean this year. Europe refuses to fix the crisis. 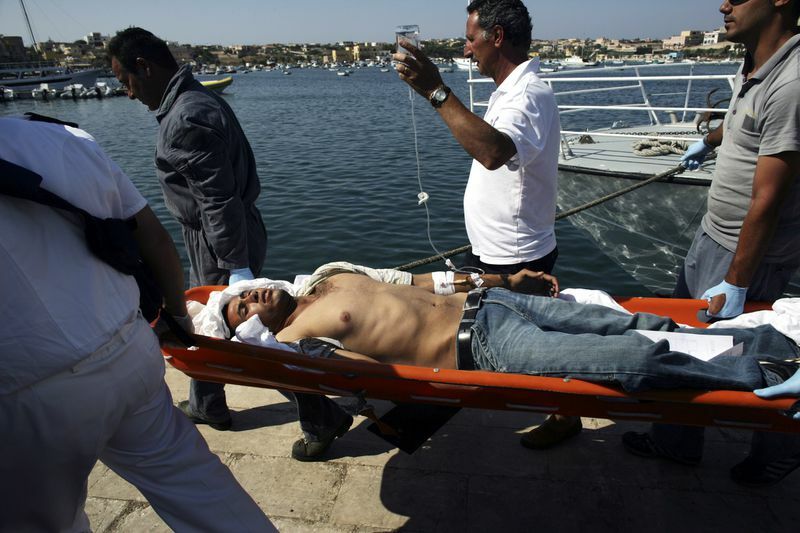 Over the weekend, hundreds of people died in a shipwreck trying to reach the Italian island of Lampedusa. According to the BBC, the ship — which carried 700 people but was only about 70 feet long — capsized off the coast of Libya when its passengers crowded to one side trying to flag down a Portuguese commercial ship. As of Monday, only 28 survivors had been rescued. The other 670 or so are probably dead. This was the opposite of unforeseeable. Shipwrecks killing hundreds of migrants at a time have been happening in the Mediterranean for years. 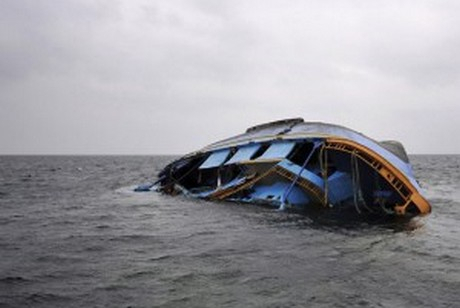 Just last week, another shipwreck killed about 400 people. Last year, about 4,868 people died trying to get to Europe (many of them aiming for Lampedusa) — making it by far the deadliest border crossing in the world. Europe responded last fall by scaling back rescue efforts — on the logic that it would somehow deter people from making the voyage. That hasn’t happened at all; in fact, this winter was the busiest it’s ever been. Instead, what’s happening is that more people are dying. 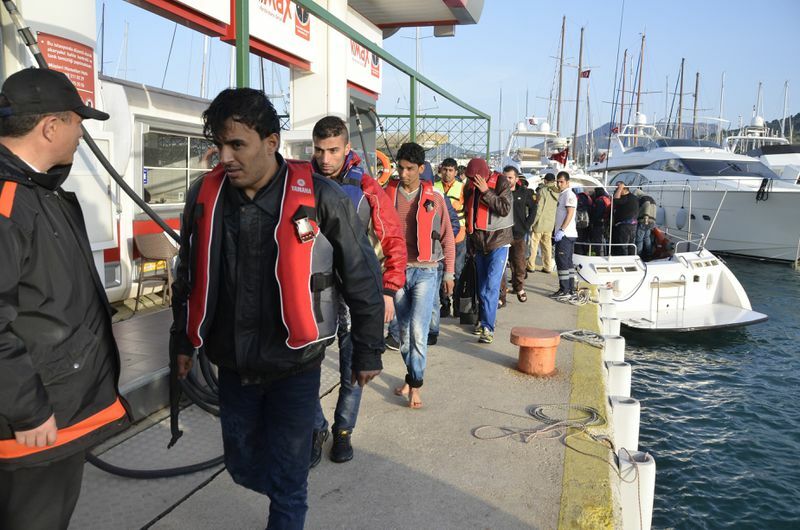 By April 15 of last year, 17 migrants had been killed; by April 19, 2015, 1,600 migrants had. And peak migration season hasn’t even started yet — it’s typically May through September. That means it’s almost certain that hundreds, even thousands more people are going to die this year. While many, including Pope Francis, are calling the situation a humanitarian crisis, there’s also a deep xenophobic undercurrent clouding the debate over how Europe should respond. One conservative UK columnist responded to last week’s shipwreck by calling the migrants “cockroaches” and suggesting that Europe should patrol the Mediterranean with gunships instead of trying to rescue migrant ships. The EU’s Cabinet equivalent is struggling to come up with a comprehensive migration policy, which it’s due to release next month. The shipwreck over the weekend has certainly made it more urgent. But the crisis is so deeply rooted in bigger issues, from civil war in Syria to the collapse of the Libyan government to poverty in sub-Saharan Africa to xenophobia in the UK and other EU countries, that it’s hard to imagine what solution might work. Who are these people, and why are they coming? In 2014, 220,000 migrants without papers came to Europe by sea, according to European border agency Frontex. Nearly a third of them (about 67,000) were Syrians fleeing their country’s civil war. Large shares came from a brutal dictatorship in Eritrea and from civil war in Mali. But others came simply from poverty in sub-Saharan Africa. This is what migration scholars call a “mixed flow.” Some people are fleeing political oppression and violence, and are supposed to be protected as refugees or asylum-seekers. In fact, one Italian official in North Africa has said that many migrants from sub-Saharan Africa have received official refugee status from the UN High Commissioner for Refugees, but ultimately decide that waiting to get taken in as a refugee by another country will take too long and put themselves into the hands of smugglers. Other migrants are trying to get a job in Europe, and are simply “irregular migrants” who should be prevented from entering or deported. They’re all coming along the same routes: northward through the Sahara to northern Libya, or from the Middle East to Egypt (and, more recently, to Turkey), and from there to Lampedusa, Sicily, or Greece. And they’re all being brought through by smugglers. 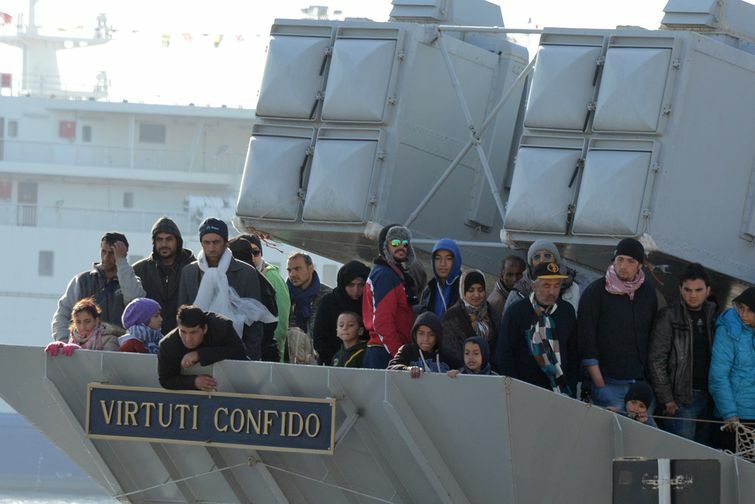 A few migrants pay for the “full package” — transit all the way from home to Lampedusa. But that costs about $10,000 — or about 18 years’ worth of salary for the average adult in sub-Saharan Africa. What’s much more common is for migrants to pay as they go — getting as far into Niger or Libya as they can on their own money, and then being forced into labor to pay for the next leg of the journey or to pay off their debts. Even migrants who try to start out the journey on their own, without the aid of a smuggler, often turn to one once they’ve run out of money. In all, the Italian official estimated in 2014 that 600,000 migrants were waiting in Libya to get their chance to come to Europe — another three years’ worth of migration, even at last year’s high rates. Once someone is being forced into labor, he’s not a migrant being smuggled anymore — he’s a victim of human trafficking. Many migrants are exploited at some point along the journey. And some reports indicate that at the end of it, some migrants are actually forced to board the boats to Europe. A report last fall indicated that when a group of migrants attempted to protest because they saw how small and shoddy the ship they were being boarded onto was, the smugglers forced them onto the ship with knives. The mix of asylum-seekers and economic migrants trying to get to Europe, and the mix of migrants who come voluntarily and those who have been exploited, makes it extremely tricky for Europe to respond. They can’t just turn everyone back; it would violate international law. But they can’t just let everyone come to shore — not least because few of them would actually make it to shore to begin with. Often the person navigating the ship is a migrant himself — not because he’s a qualified navigator, just because he volunteered to pilot the ship to pay his fare. Smugglers often don’t give migrants anything more than a GPS device and a compass. And they usually put only a few days’ worth of food and water on board. It’s nearly impossible that a ship could actually reach Italy under these conditions. The best bet for migrants is that they’ll be seen and rescued by another boat — from the Italian government, Frontex, or just a commercial boat. Under international law, any boat is obligated to answer a distress signal. The smugglers know that, and are taking advantage of it. This is a bigger problem with the Mediterranean migration: the smugglers are incredibly creative and responsive, and are able to take advantage of any humanitarian support Europe offers. But that doesn’t negate the fact that they’re putting actual lives at risk, whether Europe responds or not. Migrants can’t always catch the attention of another ship — or, as in this case, they’re so desperate to flag a rescue boat down that they end up capsizing the ship they’re in. In fact, smuggling — not just of people but of goods, drugs, and weapons — has become a pretty central part of post-Qaddafi Libya. 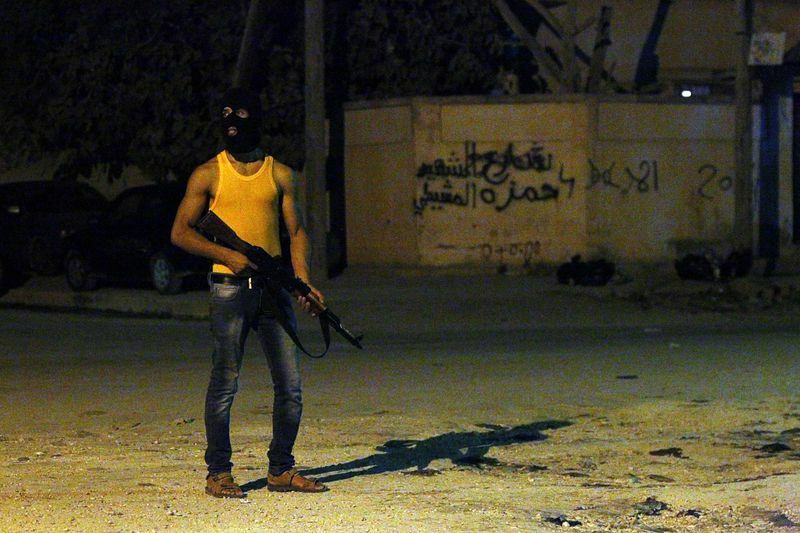 According to the United States Institute of Peace, many of the skirmishes between militias in Libya’s north and southwest aren’t just about support for or opposition to the current Libyan government — they’re also over control of smuggling routes. And human smuggling has become an important part of the economy of many communities along the Libyan border, and for some ethnic groups within the country. So as Libya’s gone from being an ally in helping to control migration to a pipeline through which migration happens — and as thousands of Syrians have fled their country — the number of migrants trying to reach Europe by sea has risen sharply. In 2011, the first year of the Syrian civil war, about 70,000 migrants tried to sail to Europe. In 2014, 220,000 migrants did. What has Europe been doing to help? Until last fall, the Italian government was working on its own to find and rescue migrant ships, under an operation called Mare Nostrum (“our sea”). Mare Nostrum was credited with saving hundreds of thousands of lives. But last fall, the European Union’s border patrol agency, Frontex, took over, and replaced Mare Nostrum with a much more limited operation called Triton — spending about a seventh of the money that Italy had on its own. But, as migration scholars always stress, migrants understand the danger and are choosing to take the journey anyway. Ending rescue missions hasn’t curbed demand — only a few thousand fewer migrants have arrived by sea than last year. But it’s made the journey much more deadly. Why is British columnist Katie Hopkins comparing these people to cockroaches? The column tapped into deep anxiety in Britain (and throughout Europe) about increased immigration and disaffected immigrant populations, primarily from the Muslim world. Hopkins merely drew the connection from the migrants trying to get into Italy to the migrants making people so nervous back home. In response, she calls for Europe to “go Australian,” or take the aggressive patrolling approach that the Australian government took last year (and which might have violated international law). The column was clearly intended to shock. And it worked: more than 150,000 people havesigned a petition calling for Hopkins to be fired. Hopkins has come under special fire for her comparison of migrants to “cockroaches,” which parallels language used by both the Nazis and the Hutu genocidaires in the Rwandan genocide of 1994. The xenophobia in domestic politics in the UK, as well as other European countries — especially Italy — is one of the most important factors driving EU policy on this issue. What is Europe going to do now? Will it work? That’s a very politically advantageous line for the EU to take: it makes it clear that they’re not planning to respond by taking more people in, but turns it into something that sounds like a humane, long-term solution. But the problem with long-term solutions is that it takes a while for them to work. Stopping people from wanting to come in future is one thing, but it doesn’t do much for the 600,000 or so migrants currently waiting in Libya for their turn. What Europe is likely to do in the short term is continue to ask other countries, like Libya and Egypt, to patrol their own borders better to interrupt the flow of migrants. It might even make this a condition of international aid. But in Libya in particular, there’s no one capable of patrolling the borders — to the contrary, most groups with local power are more interested in making money from smuggling themselves. That raises the real problem with attempting to solve the migration problem “at the roots.” To get international cooperation from Libya, it would have to rebuild the Libyan government and undo all the damage of the past several years. To stop the largest group of migrants from coming, Europe would have to somehow end the bloody and complicated civil war in Syria and institute a lasting peace (something Western governments don’t have a great track record with in the Arab world so far, as Libya demonstrates). To keep immigrants from coming from sub-Saharan African countries, it would have to solve poverty in the poorest region on earth. Is a continent whose politics are too xenophobic to rescue migrants who are drowning in the Mediterranean really going to take all this on?